A number of years ago a study by an Irish research lab failed to detect any Viking DNA in a small sample of Irish people with Viking-associated surnames. However, those test subjects were basically selected at random and a far better approach would have been to recruit individuals with Viking-associated surnames who live in an area where one finds Viking surnames in the community and evidence of Viking settlement in the placenames. What I set out in this study was to identify those areas. 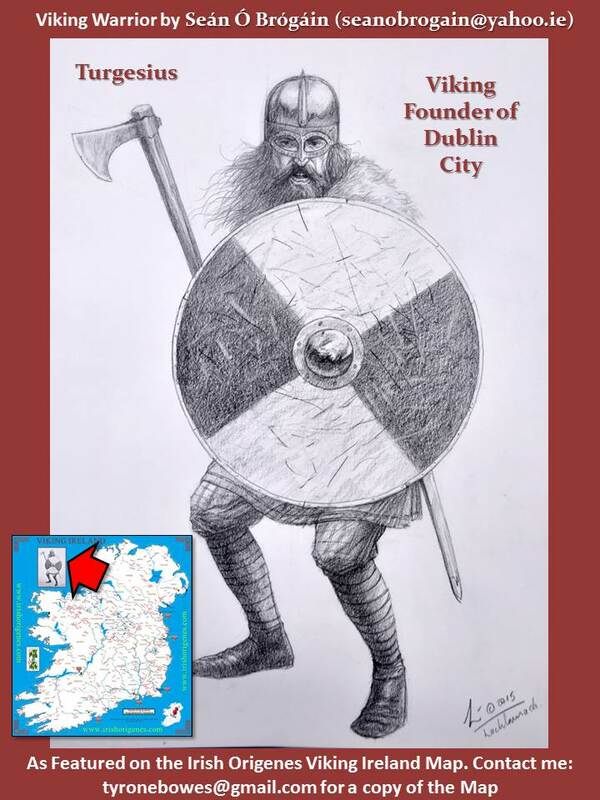 In the process of writing the report I decided the best way to illustrate the identified areas of Viking settlement was with a poster (click on the accompanying image to preview) which is designed to accompany the report. The map details where farmers with 150 identified Viking-associated surnames concentrate. I chose farmers because they can still be found concentrated in that area where their surname first appeared or in the area where their ancestor first settled. The map also details Viking placenames and towns. 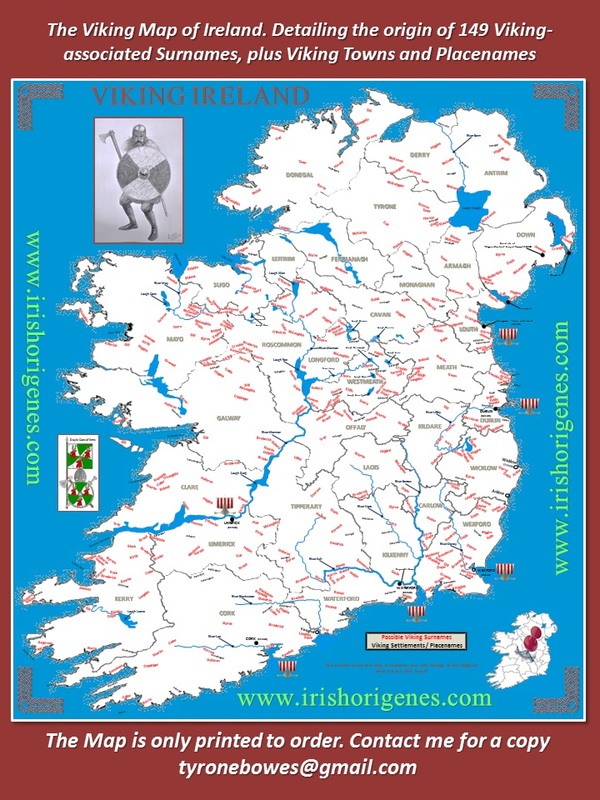 There report and map identify roughly 20 areas within Ireland that show evidence of Viking settlement. The Viking report can be downloaded and studied by CLICKING HERE. If you wish to purchase a copy of the map then contact me by CLICKING HERE (this map is only printed to order). 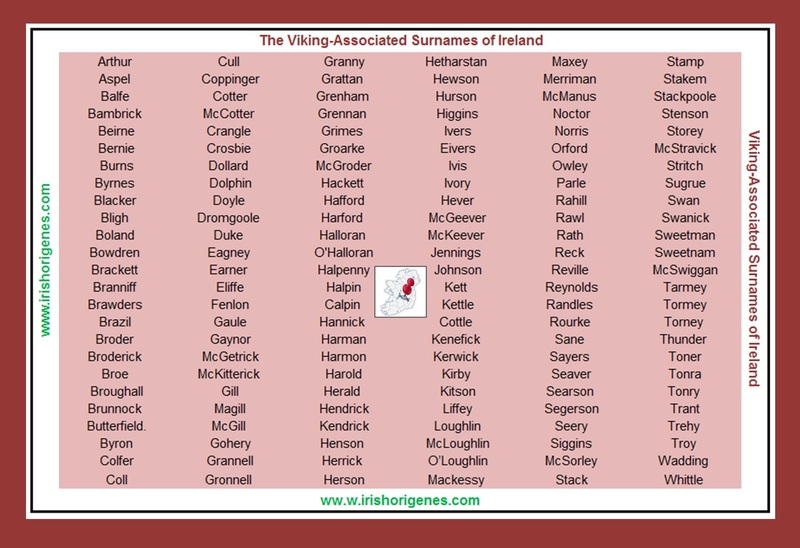 So if you have one of the Viking surnames that feature on the map (click the accompanying table to enlarge) then you could take a simple painless DNA test to confirm your Viking roots and to pinpoint where within Ireland your Viking ancestors settled (contact me by clicking here to find out what DNA test is suitable for you and where to test). If your surname features in that table and you have already taken a DNA test then contact me (CLICK HERE) for a FREE CONSULTATION on your DNA results.